Vancouver is not only a popular Canadian destination but a hotbed for expatriates seeking the finest quality of life. One of the many reasons why expats relocate to Vancouver is for business or education purposes, but more often than not, expats are lured by the laid-back lifestyle, whilst enjoying the city's mild climate offering an array of sporting and cultural activities. Expats (especially with families) can enjoy skiing and snowboarding (although snowfall is rare), boating, kayaking, swimming, surfing, hiking and mountain biking in summer. Located in British Columbia, Vancouver is undoubtedly Canada's gem - endowed with majestic snow-capped mountains, lush forests and surrounded by the breathtaking ocean. Furthermore, there are more than 180 city parks and a combination of natural forest and parklands in the city centre. With 603, 502 people, expats make up 45% of the total population. The city is dubbed as the "Hollywood North", as ten percent of Hollywood movies are set in Vancouver. It is also the third largest producer of movies after Los Angeles and New York and the home to three major film companies, 26 studios, 70 post-production facilities and approximately 50 shooting stages. Other thriving sectors include major job industries such as trade, film, natural resources, technology and tourism. Vancouver's warm summer immediately transforms into a cool temperature in the evening. For this reason, it is best to pack a light jacket and a sweater. Remember to bring warm clothes, raincoat and umbrella. In Canada, electrical goods are cheaper, and the standard voltage used is 110 volts although some houses have 240 volts in their laundry areas. Expats should know the bedding sizes in Canada may differ from one's home country. Thus, it is recommended to buy once in Vancouver. When relocating with family, it is imperative to bring school records and a copy of medical records. Vancouver is a beautiful city with diverse neighbourhoods. Popular neighbourhoods include Kitsilano, The West End, Yaletown and Commercial Drive. Expats looking for neighbourhoods that are in close proximity to the city business and financial centre can settle in Downtown Vancouver, which is a perfect place for the metropolitan experience that offers high-rise living in upscale furnished apartments and condominiums with a breathtaking view of the ocean. On the other hand, the West End neighbourhood in Downtown Vancouver is one of the most densely populated areas in the country. But still, it remains an idyllic place where families can enjoy a stroll in nearby parks and beaches. Yaletown is a small shopping area but transforms into a vibrant nightspot once the sun sets in. The new Soho of Vancouver is Crosstown, packed with nightlife energy. In the East Side of Vancouver is the haven for artists. Commercial Drive or "The Drive" was once nicknamed as "Little Italy" is the home to a large Italian population. Today, The Drive is a colourful melting pot of Italian, Portuguese, Spanish, and Latin American people. Expats will enjoy a vast array of restaurants and live music. Another famous area is Kitsilano or "Kits" located on the west side of Vancouver. Young couples and families choose to reside in this area as Kits provides a fun and a free-spirited atmosphere. Kits not only offers a jaw-droppingly spectacular view of the mountains and the English Bay but boasts of fantastic heritage homes with quaint gardens. With Vancouver's state-of-the-art rapid transit system and trolleybus system, commuters can expect a hassle-free daily journey. 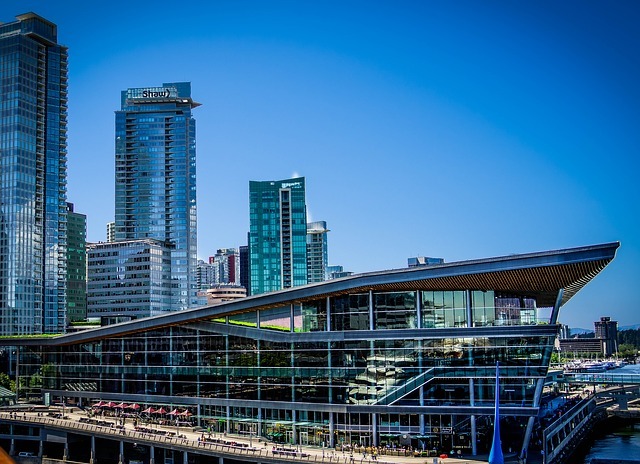 Among other major cities in Canada, Vancouver has steadily earned accolades as one of the world's top cities that offer high quality living for expatriates. Vancouver has always been ranked as one of the most livable places in the world because of its eye-catching sceneries, countless outdoor attractions and dramatic landscapes. Aside from, its natural beauty, this city is also known for its stable economy and job openings in many sectors especially in the field of technology. It is no wonder that you will also find your way here like thousands of expats who are now living the time of their lives in the place they call as Canada’s ‘shining star’. So if you are fully decided to move to Vancouver, here are several tips that are sure to help you out. You can get an idea about Vancouver’s housing market by browsing through online portals even before you relocate. These websites post pictures, locations and prices of the properties which will let you know about the range of the rental costs. You can also hire local real estate agents once you get in the city. They are more familiar with the places and can give you more options which will make your search faster. The average monthly cost of your utilities like water, gas, electricity and garbage collection is €55. An unlimited internet connection with a minimum speed of 10mbps is around €45 per month while a minute of local mobile prepaid call is charged €0.25. 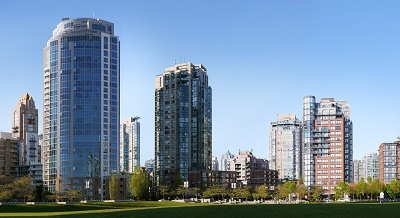 There are few detached houses in Vancouver, but you will find many high-rise condominiums and apartments. You also have the flexibility to choose between a short term and long term lease agreement depending on your planned length of stay. Most rentals are unfurnished but often include a stove and a refrigerator. A majority of expats are living in the city centre where the price of a one bedroom unit starts at €1100 per month and €2200 for a three bedroom unit. You can also find rentals in neighbouring districts for around €800 monthly for one bedroom flat and €1500 for a three bedroom unit. You can enrol your child in some of the international schools in Vancouver like the St. John’s International School. These schools are equipped to continue the curriculum from your country of origin and help your child to adjust gradually to the environment since they will be among other expat children. There are also local schools in Vancouver that are widely known for having a high standard of education. One of these schools is the University of British Columbia which is the alumni of many prominent Canadians such as the Prime Minister Justin Trudeau. Either you’re an experienced, or a first-time expat, the process of importing your belongings abroad require a lot of time and attention. To lessen the hassle, you can hire shipping and removal companies to help you in the moving process. These professionals offer door to door services where they will oversee the delivery of your precious items until they reach the doorstep of your new home. It usually takes 6-8 weeks for containers to arrive at the Port of Vancouver but this will still vary depending on your country of origin. For more knowledge on the city’s import regulations, click here. There is no quarantine period for animals entering the territory of Vancouver. However, you need to present your pet’s Rabies Vaccination Certificate and International Health Certificate, which are both signed by a licensed veterinarian from your home country. You also need to keep in touch with the Canadian Food Inspection Agency for further instructions about bringing your pet since they are the one who facilitates the importation of domestic animals. This city is a melting pot of diverse cultures and influences. Its green forests, child-friendly outdoor activities and majestic North Shore Mountain are just a few of the many beautiful things that you can look forward to your new life in Vancouver. Half of the residents of Vancouver are foreigners which make the city’s culture diverse. Expats rush to Canada’s shining star as it is one of the most liveable cities in the world. With a population of over 603,500, expect half of those coming from the large expat community who can speak French, Chinese, German, and Punjabi among other languages. One of the most typical questions that strike people when it comes to Vancouver is this: What makes the largest city in British Columbia and the most populated city in Canada so liveable? 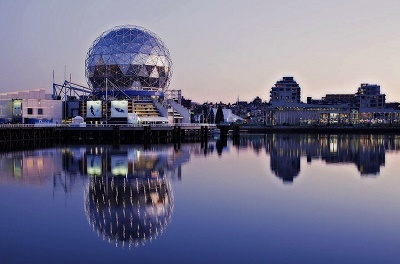 Well, there could be a long list of answers, but some of the top reasons behind Vancouver’s irresistible allure are its picture-perfect landscape, great weather, laid-back atmosphere amidst a progressive cosmopolitan and amazing cultural diversity. Another pride of this city is its outstanding rank in the 2016 Mercer Quality of Living Survey where it scored as the 5th best for the quality of life among 230 cities across the world. Vancouver is indeed a paradise not just for expats who are chasing their careers but also for those who want nothing but the best life for their family. Most locals from Vancouver would be proud to say that the city prides it outdoors. With the many outdoor activities kids may try, it is definite that every expat family living in the city are having the best time of their lives. Sailing and skiing around are one of the highlights of a family day. Taking a ride at the SeaBus going to North Vancouver to have a view of the world-famous Lions Gate Bridge and the Stanley Park is one. For kids with creative minds, paying a visit to the Kids Market, Water Park and Science World and Omnimax Theatre at Telus World of Science would mean a lot to them. Vancouver, the largest city in Western Canada, is not just popular for its family-oriented destinations but also for its alternative nightlife scene. This city is overflowing with neighbourhoods that know how to satisfy young adults that are searching for the best drinks and unforgettable night-time fun. One of the best spots in Vancouver is the Granville Street which is referred to as the equivalent of Vegas Strip. This strip is packed with bars, clubs, pubs and dance clubs. Expats that are looking for a more laidback atmosphere can head to Kitsilano, a beach-side neighbourhood famed for its pubs and bistros. It is also one of the places where most of the locals hang out so those who want to get to know the local community can visit Kitsilano. Expat drivers in Vancouver would only encounter traffic during rush hours. The city is easy to navigate for its extensive road network. Foreigners must take note that the streets in Vancouver use the grid system with most of it labelled with either East or West. Parking is another story in Vancouver. Expats are advised to always save some coins for their parking meter since there may be free parking in residential areas but are only for those permit holders. Canada prides itself on its banking system which is considered as one of the safest and finest in the world. Expats would find that dealing with overseas bank transactions in Vancouver is simpler and less of a hassle compared to other parts of the world. There are five major banks in the City including Canadian Imperial Bank of Commerce (CIBC), Royal Bank of Canada (RBC Royal Bank), Bank of Nova Scotia (Scotiabank), and Toronto Dominion Bank. The language barrier may be the least reason for an expatriate’s culture shock when in Vancouver for half of its residents are also foreigners, particularly those of Asian and Indian descent. Mingling with the locals would be easy for foreigners as well as Canadians are relatively cheerful and would always assure newcomers with a warm welcome and appreciation. A majority of shopping malls and stores in this city are open from 10 am to 6 pm from Mondays to Fridays. Sundays are usually off, so most establishments are closed. Government offices/institutions, on the other hand, operate from 10 am to 5 pm from Mondays-Thursdays and until 6 pm during Fridays. Expats must also remember that the people of Vancouver are extremely protective of their environment. Those who will be caught throwing trash on the wrong places will be facing a hefty fine.